Light exercise is a must for a healthy mommy-to-be! Keep yourself and your baby as healthy as possible with a moderate 30 minute-a-day exercise as recommended by the American Congress of Obstetricians and Gynecologists. Warm water is an extremely therapeutic environment for your body to move, stretch, and strengthen itself. This is the time you need to take care of yourself the most, and DSC wants to give you a unique way with this FREE program. As if the weight control isn’t enough of a reason to “kick it” with us, there are more benefits, too! Meet other moms-to-be for a unique social and educating experience! The program is free with no obligation to belong to our club. We at DSC just love those baby bumps and are excited to bring this service to our community. 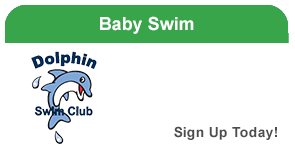 Plus,exercise with DSC just three times and receive 50% off of your first month of Baby Swim©! How Do You Join Belly Kicks To Baby Swim? Bring us a doctor’s note clearing you for program as DSC requires you to be in your second or third trimester. If your doctor has any questions, send him/her our way; we are happy to help! We will need you to sign a waiver before your first class and put your basic information on file. Tell us your due date so we can get excited with you! Stay hydrated before and during class. The warm water will make you sweat without realizing it. Go at your own pace; do not push yourself. Save that strength for after the baby gets here! 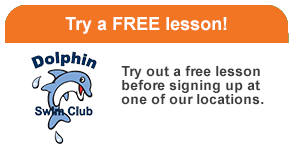 Let your instructor know if there is a certain area you would like to work on more and if you have any restrictions. We suggest stopping a week before your due date. Check with us for times! We’ll see you in the pool! Why should your infant swim? Swimming is an environment akin to the womb. Start young and they will feel right at home in our warm water. Discover what European and Australian moms have been doing for decades! Here Baby Swim© is thought of as progressive, new-age, or experimental, but moms overseas have been doing this for years! In Australia, hospitals actually send you home with a DVD teaching you how to get your newborn prepared for swimming in the bathtub. In Sweden they start baby swim lessons as soon as the umbilical cord is healed. Swimming is a natural reflex your baby is born with. While we don’t expect or suggest for you to “try this at home,” if you were to submerge your newborn about two feet under water, your baby would respond with both swimming and laryngeal (or gag) reflexes. These result in your newborn moving his/her arms and legs in a front crawl or freestyle-like motion while holding its breath for a few seconds. 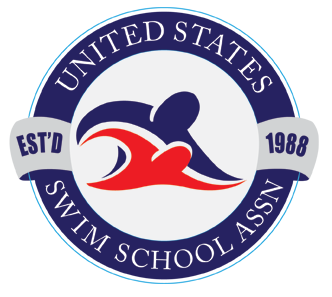 DSC and the United States Swim School Association have researched these survival reflexes and learned how to pair them with your baby’s natural physical, social, and cognitive development to create a curriculum that stimulates growth and learning to swim. Amazing results! 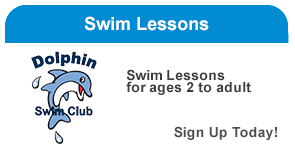 Our highly trained instructors work with you and your little one to turn those reflexes into learned responses and foundational swimming skills. Your baby will learn how to swim earlier than most and be safer younger. We hope you want to know more! Your Belly Kicks© instructor will be happy to answer any questions you might have about Baby Swim©.